Description: As Gen. John B. 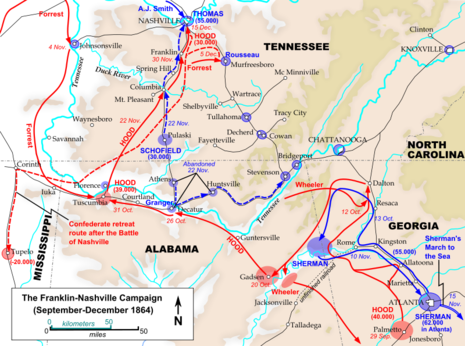 Hood began the Franklin-Nashville Campaign during the fall of 1864, his Army of Tennessee demonstrated against Decatur, Alabama, October 26-29, in an attempt to cross the Tennessee River. Union forces, under the command of Brig. Gen. Robert S. Granger for most of the battle, numbered only about 5,000 men, but successfully prevented the much larger Confederate force from crossing the river. The Battle of Decatur was fought from October 26 to October 29, 1864, as part of the Franklin-Nashville Campaign of the American Civil War. 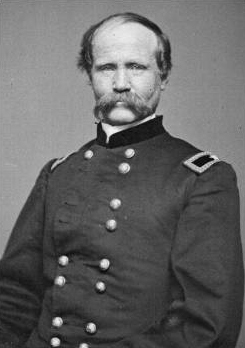 Commanding the Union forces was Brigadier General Robert S. Granger, who had between 2,000 and 5,000 men. 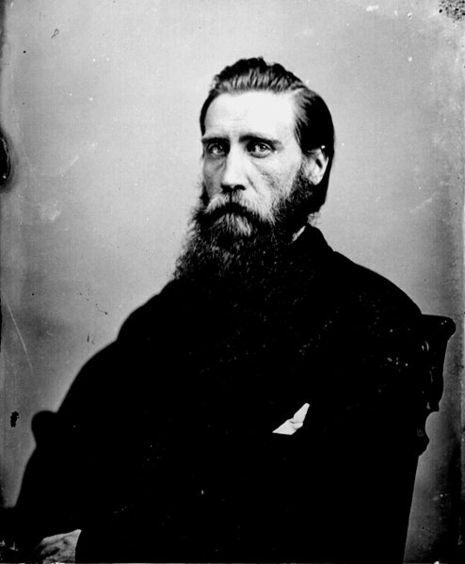 Commanding the Confederate forces was Lieutenant General John B. Hood, who had the 23,000-man Army of Tennessee under his command. The battle took place at Decatur, Alabama, around the Old State Bank. Slugs can still be found in the masonry of the Greek Revival building. On October 26, 1864, Gen. Hood and his army attempted to cross the Tennessee River near Decatur. However, under the leadership of Brig. Gen. Granger the Union forces were able to prevent Hood's army from crossing the river. Union Forces burned down the city of Decatur, including the railroad bridge, leaving only three structures standing. They are the Old State Bank, Dancy-Polk House, and the McEntire House. Former Decatur resident Noel Carpenter has written what may be the only book about this battle, A Slight Demonstration, published by Legacy Books and Letters of Austin, Texas.